A 17-year-old boy has been stabbed in the stomach by an "offender on a bike," police said. The teenager was attacked on Lambourn Road, off Marsh Lane, in Erdington, at 16:15 BST, on Friday. West Midlands Police said he suffered stab wounds, which are not thought to be life-threatening. He is now recovering in hospital. No arrests have been made and officers said inquiries were continuing. 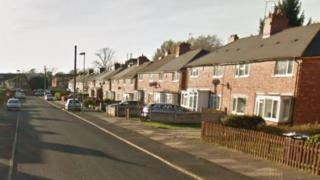 "A 17-year-old boy was walking down the road when he was approached by an offender on a bike," a force spokesman said.